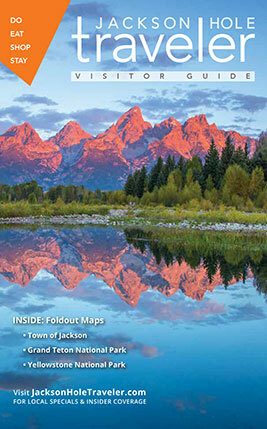 Have a “blast” In Jackson Hole with Jackson Hole Shooting Experience. The Jackson Hole Shooting Experience is a different kind of bucket list “blast” for you and your family. Taking a whitewater rafting trip, trail ride, and/or an Aerial Tram trip up to the top of Rendezvous Mountain at Jackson Hole Mountain Resort are of course all some of the usual suspects of activities to engage in while here. But shooting pistols and rifles as a group is both empowering and educational. And, it offers more bang for your buck, if you will. Owned and operated since 2010 by husband and wife team Lynn Sherwood and Shepard Humphries, the Jackson Hole Shooting Experience has introduced thousands of people to the history and culture of firearms as well as the techniques that help make them safe and enjoyable. “About 80% of our guests have never picked up a gun before in their lives,” says owner Lynn Sherwood. While engaging in this luxury shooting experience families are involved in competitions against their personal best as well as each other. The aim of the activity is to foster opportunities for families to slow down and get out of the tech world and off of their cell phones and bond with each other in a really fun competition, according to Sherwood. “The way that they look at each other after they slow down from their busy lives back home is such a special thing to watch,” she says. Jackson Hole Shooting Experience boasts a team of 16 coaches, which includes people with former military and law enforcement experience as well as veteran hunters and National Rifle Association instructors. When you call to book your experience, the Jackson Hole Shooting “guest care gurus” speak with you to really get to know your family and match it with the perfect coach. You will be asked about your experience level with firearms, any concerns with the shooting experience and what your family’s goals are for a day out on the range. The Multi-Gun Experience unfolds with your private coach meeting you in the parking lot with eye and ear protection and then walking you to the shooting area to engage in a safety briefing. Each person will be shown the proper way to grip and hold a firearm, starting with a smaller caliber gun (.22 caliber) before moving on to larger caliber ammunition and guns. Those hoping for a Wild, Wild West feeling will be able to shoot a cowboy revolver if they so choose! Metal targets like a red cross, blue heart and a yellow banana are used for shooting, not humanoid-type targets. “Because you are not choosing to use it [the gun] to harm somebody else there’s a whole psychology behind how our coaches work with some of the families to dispel the fears and the myths, to soothe the family who has never been out to shoot before, but keeping a really healthy respect for the guns,” says Sherwood. The Multi-Gun Rifle and Pistol Experience is by far most popular option at Jackson Hole Shooting—90% of summer travelers chose this one. But Sherwood says there have never been two that are exactly alike, because your family has a different shooting level than the one next to you. One family may love the historical rifles and the other family may really love the long-range rifles. “Another family may want to focus on the hand guns or the cowboy revolvers—everybody’s experience is completely customizable,”says Sherwood. For instance, there are bays for kids and families who only want to shoot .22’s. In the case of inclement weather, there are bays that are the covered for shelter and families can choose to set up a cowboy stage complete with red feather boas and cowboy hats and revolvers and have a blast rotating through the stations. Families can also add in activities such as archery and tomahawk and Western knives throwing. For more information and reservations, call or visit shootinjh.com.